SCARY STORIES ABOUT TEMPORARY LEASES! Louis Korkames on Investor Offers Are Low-Ball! Obatin the Freedom to Succeed! If you search the internet for “Should I get a real estate license if I’m an investor?” and you will find a whole host of lists of reasons NOT to get your license. I find that most of those lists, though, tend to be based on rumor and “conventional wisdom” rather than facts or grounded in the law. So here is my Top 5 Reasons an Investor SHOULD get a real estate license! Leads are not cheap. And let’s face it, not every seller we meet is ready to make a deal that makes sense from an investor-perspective. But when you have a license, you can also revert to listing the property when investing doesn’t make sense! Some investors will respond by telling me they just refer those out. But when I press and ask how many of those referrals have led to an actual check, the answer seems to always be “none”. Why? Because sellers, while accepting of your referral, tends to fall back on trusting people they know and getting additional referrals from them. But when you are at the property, you are ready to list and they are ready to sign! Get the agreement right there and make money! OK, so you say you don’t want to list property. You certainly don’t have to. First, maybe you should. After all, a listing is really no different from a wholesale. Get property under contract. Market property (MLS). Go to closing. There are some nuanced differences but the concept and effort are the same. But even if you don’t want to do that, it’s still easier to make the referral money when licensed than when you are not. That is because you can still get the listing agreement. 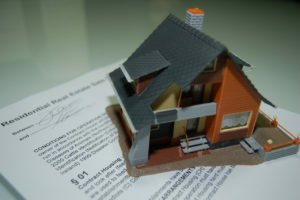 A listing agreement is technically an agreement between the seller and your broker. Then you can refer the agreement to another agent in your brokerage and get your referral fee. But this time, you WILL get paid! I would never trust an ARV from another agent. Especially if the way you are “paying” for that work is through the promise of the listing if you buy the property. By making that arrangement, you have given that agent an incentive (consciously or unconsciously) to give you the best case scenario ARV. When you do a rehab project, do you go view your current competition on the market? Not only should you, you can do so easily with key box access! Do not underestimate how this will save you time and money in your next rehab project. Don’t over-rehab, stay even or slightly better to your competition and sell faster! I hear way too often that investors are afraid to get their license because they think it will restrict their investing. In Texas, as long as you approach your sellers as “buyer” and not “agent”, you do not need to do anything different! That means you do NOT need to put a license number on the bottom of advertising, you do NOT need to show your seller the comps and you do not need to disclose agency to a seller until you present a written contract offer. And if you get with the right broker, like StepStone Realty, being licensed is a tool not a JOB. Use it to comp, monetize leads, research, and gain credibility with your sellers. With no quotas, desk duty or requirements to “show buyers around”, you are free to pursue business YOUR way and use your license as an investment tool. That is how StepStone gives YOU the Freedom to Succeed! Help us Bring Creative Real Estate Investing into the Mainstream! Be the Yes Man (or Woman)!